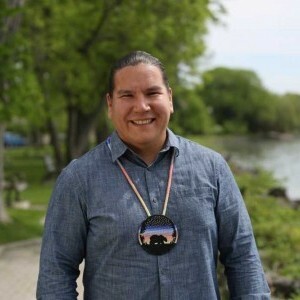 Waubgeshig Rice is the host of Up North, heard weekday afternoons from 4:00 to 6:00 PM on CBC Radio One and broadcasts throughout northern Ontario. Originally from Wasauksing First Nation near Parry Sound, Waubgeshig got his first taste of journalism at age 17 when writing about his experiences as an Anishinaabe exchange student in northern Germany for newspapers back home in Ontario. In 2006, Waubgeshig joined CBC Manitoba as a TV and radio reporter in the Winnipeg newsroom, where he filed local and national stories. A half-hour television special he co-produced with KPBS in San Diego was nominated for a regional Emmy award in 2009. In 2010 he moved on to CBC Toronto and then CBC Ottawa to work as a video journalist for local TV news. Waubgeshig has produced radio and television documentaries for CBC and contributed to special projects such as ReVision Quest and 8th Fire. Prior to joining CBC, he graduated from journalism at Ryerson University in 2002, and began freelancing for newspapers and magazines across Canada. From there, he stepped into broadcasting with The Weather Network in 2003, as a news writer and television reporter. 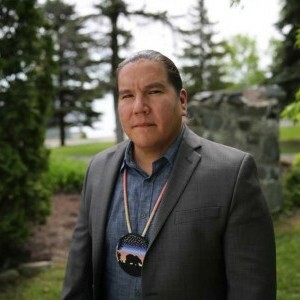 Waubgeshig is also an accomplished author and received the Anishinabek Nation's Debwewin Citation for excellence in First Nation storytelling in 2014, which recognized his journalism and literary work. His first published work was a short story collection, Midnight Sweatlodge, followed by a novels, Legacy and Moon of the Crusted Snow. 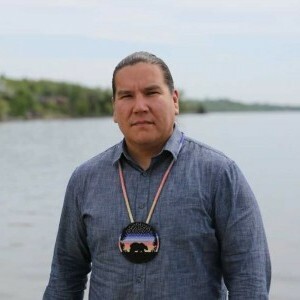 Waubgeshig splits his time between Sudbury, where Up North is produced, and his home in Wasauksing First Nation with his wife and son. In his free time he enjoys reading, playing guitar, training in Brazilian Jiu-Jitsu, and being with family.